Jane Nyce, who retired as executive director from Staying Put, was celebrated at a recent picnic. She shows off a gift from Louise Goodridge - a bowl hand crafted by Staying Put member Bill Sessions. More than 160 members, volunteers and friends of Staying Put attended the annual picnic fundraiser to say farewell to departing Executive Director Jane Nyce, who is moving with her husband to Maine. The event took place under a large tent at the home of board member Lila Coleman. "Jane has done so much for Staying Put and for our members these past seven years," President Tom Ferguson said. "The enormous turnout today shows just how much Jane has meant to all of us." 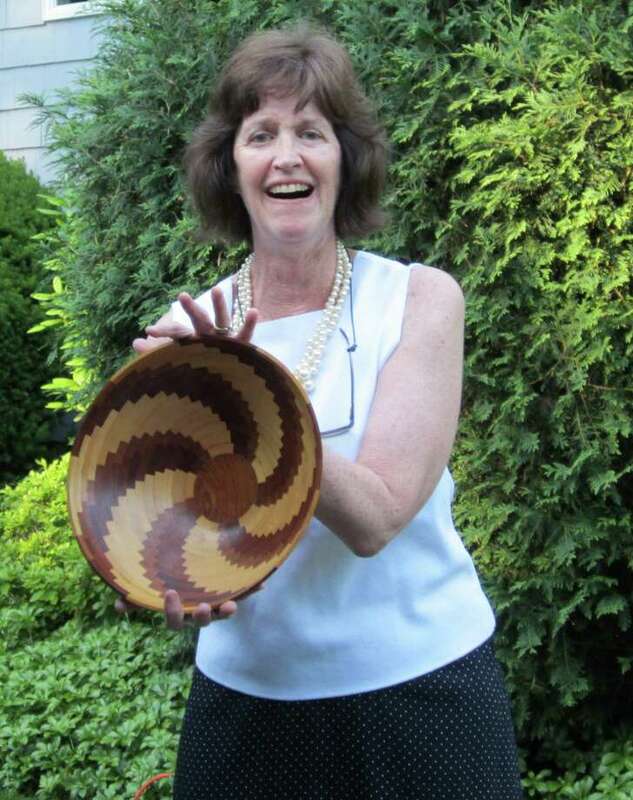 Nyce received a hand-crafted wooden bowl by member Bill Sessions, given by Louise Goodridge in her honor, as well as a booklet of "Remembrances of Jane," quotes written by Staying Put members, board and volunteers, compiled by Lois Sandberg. She was also feted with a song in her honor to the tune of "The Rain in Spain" which began "Our Jane in Maine will be missed in New Canaan." Staying Put helps seniors remain safe and comfortable in New Canaan by providing support and events to keep them engaged with the community.